A dreaded picture prompted Lorriconnor to dust off the treadmill. 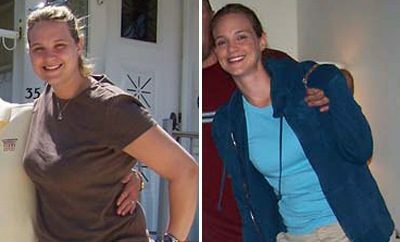 She has lost a fantastic 54lbs by counting calories, eating smaller meals and taking up running. 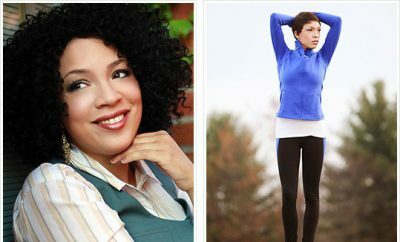 Read on for more of her weight loss tips, all taken from her own experiences. I started my journey by deciding that I no longer wanted to be a size 18-20. I no longer wanted to shop in plus size stores. I actually took a picture of myself naked and got very depressed because I knew I did not want to look like that anymore. It was a decision I had to make for myself and I am so happy that I did. I didn’t try any other programs but I was a frequent “dieter”. I was always on a diet. I was raised in a family that loves to eat. We plan our holidays, birthdays or any occasion around what we are going to eat, so I was constantly dieting to make up for me overeating, and in essence I was hurting myself. I started by utilizing the dusty treadmill I have in my garage. I also became more active with my children. I started walking about 2-3 miles and then would go to the YMCA during the day and attend exercise classes (pump and burn, abs, kickboxing). I eventually started running a little at the time. I also began to count my calories, eating more small meals throughout the day and cut off eating after 7 p.m. I also had a cheat day which helped me a lot so that I didn’t feel I was hurting myself and I didn’t want to splurge later because I knew I could eat what I wanted on that one day. Calorie Count was very instrumental because it made me accountable for my loss. I was more keyed in to what I was eating and how much to make sure I was always meeting my goals for the day. It was also helpful for me to see what I had been eating over time and how my weight fluctuated because of it. I didn’t experience any major difficulties until recently. I have hit a plateau and I have been at the same weight for a few months now. I am still trying to lose and additional 15 pounds but seem to have hit a wall. I saw results after the first 20 pounds. It was very satisfying to buy smaller clothes. I realized I was a success when after about 30 pounds I went in to a plus size store and EVERYTHING was too big. That was a good day. I prevent relapse by constantly reminding myself that I do not want to be that size ever again. I get excited about working out and I get excited about being active for my children. When I was bigger I would get tired from doing simple things, now I have the energy to be active with them. I have maintained my current weight for about 6 months now. Have a cheat day….don’t deprive yourself. Working out doesn’t have to be punishment. Find something you love to do and do it. Utilize your iPod or MP3. I have a playlist for everything. I can’t work out without music. Schedule a cut off time everyday to stop eating and stick to it. Cut out the sodas. Diet and regular are no good. 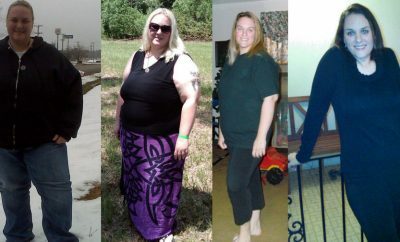 ← Previous Story 160 Pounds Down – Because I’m worth it!